Bionic Implants are a type technology that allows replacing limbs and organs for mechanical substitutes. 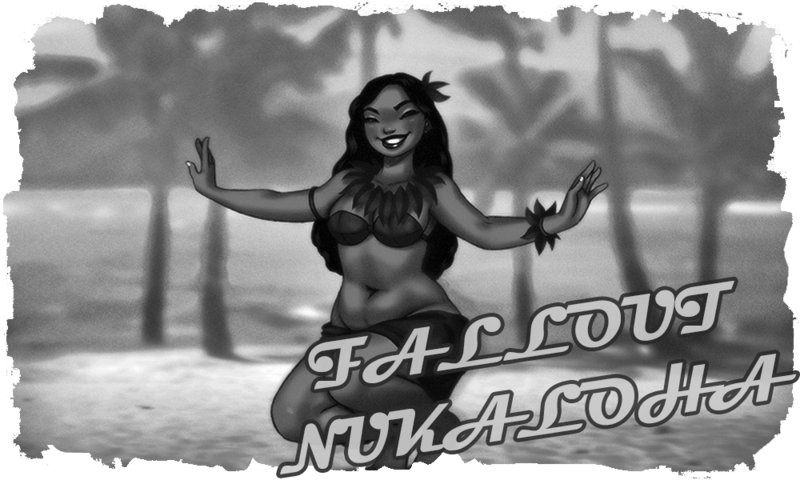 On the rest of the American mainland bionics were not a widespread technology and could only be found in some few laboratories or clinics, Hawaii on the other hand was specialized on their design and building and hence they are fairly more common on the islands. Some implants are simply substitutes whereas others give abilities that surpass human limits. When one implant is placed it is permanent, it can be substituted by implants of the same nature and of worse or better quality but never return to the original state. Regardless of the quality all bionic implants can be temporally disabled with Electro-Magnetic Pulses. EMP attacks won't affect organic creatures in any way but will be able to disable implants, vehicles or power armor. Low attacks will disable them for 1 turn, regular attack for 2 turns, crititical attack 3 turns and getting a 100 or more for 5 turns. Limb or organ substituting Bionics usually have 3 categories of quality, poor quality bionics are worse than their organic counterparts, regular quality bionics are usually equal to their organic versions and high quality bionics always offer an advantage that a regular organic body could never give. Even if having a bad quality bionic seems disadvantageous it is still better than not having anything, a person with no eyes is blind, a person with a poor quality bionic eye isn't. There is also another two categories of Bionics; SPECIAL bionics upgrade one of the seven SPECIAL stats. Since they require a mixture of machinery and organs Robots cannot install them. They can only be purchased once and are more expensive than regular bionics. The last category of Bionics are the Combat Bionics. Bionics designed by the US army and specialised contractors that has been designed for combat and increase survival chances. These are the most expensive Bionics. Depending on their race and natural Endurance people will have different tolerances to bionic implants. Having way too many can be risky as people can suffer violent rejections or have their sanity impacted. Can install 1 Bionic Implant per every 1 END points. Can install 1 Bionic Implant per every 2 END points. Can install 1 Bionic Implant per every 3 END points. Can install Bionic Implants without limit, regardless of their END. Bionic Skull: As the name implies this implant requires substituting or shielding the cranium, usually with metal. Not many people apply to do these and unless you find a completely working Auto-Doc this operation will have an incredibly high mortality chance. Each skull, regardless of quality will make you unable to be concussed. Poor Quality: Unlike the rest of the skulls that are installed under the skin these are mere thick plaques of metal that are bolted to the bone; they are easily visible and will make you really hideous looking, giving you -1 CHA. Can be bought for 1300 caps. Regular Quality: This bionic skull made of aluminium and plastic will make you slightly odd looking, and installing it will give you some scars around the jaw and temple, but nothing that truly freaks people out. They give no bonuses or penalties. It can be bought for 4000 caps. High Quality: This bionic skull is completely undetectable and even fixes your appearance and features, making you look more beautiful. It gives you +1 CHA. It can be bought for 9000 caps. Bionic Torsos: An incredibly useful implant that requires an excruciatingly painful procedure to be installed. Bionic Torsos offer an additional layer of armor and make chests unable to be crippled and lungs punctured. Poor Quality: Metallic plaques that are directly bolted on your ribs and are heavily visible. They offer 20 HP of resistance against all kinds of damage. Since they are visible and clunky they also have a -1 CHA and AGL penalty. Can be bought for 2500 caps. Regular Quality: Substitutes of the ribs and spine made of steel and other cheap metallic alloys. They can be noticed under the skin but aren’t clunky nor ugly. They offer 40 HP of resistance against all kinds of damage. Can be bought for 5000 caps. High Quality: Impossible to distinguish unless doing an X-RAY. This set of titanium ribs and spine not only offer a great 60 HP of resistance against all kinds of damage but also make your torso and back look imposing and stronger and offer you more flexibility, giving you +1 CHA and AGL bonus. It can be bought for 18500 caps. Bionic Respiratory System: A set of artificial lungs that were initially created for the military and afterwards were redesigned for civilian and industrial related uses, gaining a lot of use between divers of both fields. Regardless of Quality they all allow you to breathe underwater. Poor Quality: These cheap lungs will make your breathing loud and nasty sounding. Every few turns you also are forced to cough heavily. It makes stealth missions become all but impossible. Can be bought for 2000 caps. Regular Quality: With these lungs you will be able to breathe underwater; it is very used among Rad-Surfers. Besides a scar in the chest they are all but invisible. They can be bought for 3500 caps. High Quality: These military designed lungs not only allow for underwater respiration but can also filter radiation from the air and water. With these you will receive 50 Radiation points less from all sources. They can be bought for 10000 caps. Synthetic Skin: Synthetic skin was designed by the US military to be used by specialised soldiers trained to fight in the most toxic, radioactive and hostile environments. It is a chemical component that turns regular skin into a defensive layer that offers protection against energy based attacks and radiation. Poor Quality: This fake skin will make you look like a sickness ridden and plastic looking person. It gives 20 points of resistance against energy weapons and radiation but also has a penalty of -2 CHA points. 3000 caps. Regular Quality: This skin is nearly impossible to differentiate from the real version. It gives 40 points of resistance against energy weapons and radiation. 6500 caps. High Quality: This skin was designed to be both protective and stylish; it will make you look radiant and healthy, even if you are a ghoul. 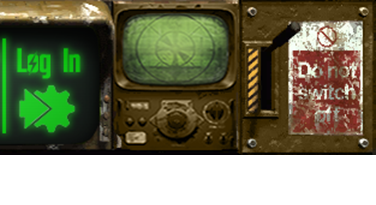 It gives 60 points of resistance against energy weapons and radiation and also grants +2 CHA points. 15000 caps. Bionic Limbs: Bionics limbs are the most common implant found in the Hawaii, they are substitutes of arms and legs and help keeping people functional and useful, something which is vital to survive in the Wasteland. Regardless of the model and the quality people with bionic limbs count as wearing brass knuckles when throwing punches or kicks. Poor Quality: These clunky mechanisms have been made with low quality metal and scrapped up pieces. They aren’t as good as the real life counterparts. Each one of those limbs has the penalties of -1 AGL and STR. They are pretty cheap thought, 300 caps for each. Regular Quality: These bionic limbs might look crude but are as effective as the real deal. They were designed before the War for civilian use. They offer no bonuses or penalties. 1000 caps for each limb. High Quality: These pieces are made from the highest quality materials and technology that the Pre-War times could offer. They were exclusively designed for military purposes. They offer +1 AGL and STR each. 7500 caps each. Special Bionic Arms: These Arms are extremely rare yet useful. They all offer the same range of movement and strength as a regular arm but also also allow to do several special actions. 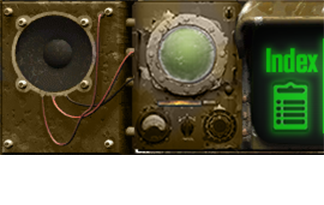 Magnetic Arm: This special arm allows you to catch any incoming grenade in mid-air to fling it back to the enemy. 2500 caps for each limb. Autoloader Arm: This special arm allows you to reload faster. Reloading a weapon now takes one less turn. 2500 cap for each limb. Assassin Arm: This special arm has inside a hidden blade that allows performing stealthy assassinations. If you are wearing this arm and you are next to a humanoid enemy while undetected you will be able to kill it silently without the need of doing a dice roll, unless they are wearing Power-Armor. It costs 5000 caps each. Bionic Eyes: These implants are one of the most solicited ones, even by people who don't have their vision damaged or impaired. Being blind in the Post-Nuclear America equals to being defenceless and dead so it isn't so weird to find these Bionic Eyes in the possession of people who have them just in case. Regardless of Quality these eyes will be good enough to allow sight and avoid being blind. People with Bionic eyes will still be affected by the temporal blindness that for example a Stun Grenade can inflict or weather effects like Fog or Pitch Black Darkness. Poor Quality: These kind of mechanical eyes are marginally better than an eye patch. They are ugly, highly noticeable and barely allow seeing a thing. Each one of those eyes will have a -1 PER and -1 CHA penalty per each Poor Quality eye. Each eye costs only 300 caps. Regular Quality: These eyes are noticeable but aren’t ugly. They offer regular human sight. Each eye costs 1000 caps. High Quality: These stunning eyes are small pieces of art. They appear like real human eyes but the irises beautifully glow and slowly shift in color. They give better vision than real eyes, giving people +1 PER and CHA per each High Quality eye. Each eye costs 5000 caps. Bionic Tongue: These implants are easy to install but hard to make, which makes them uncommon to find but easy to obtain. Most Wasteland doctors will install one at one point of their lives. Poor Quality: This rubbery tongue barely offers any advantage. It allows someone who was mute to speak but only in a stutter filled speech, they also lack taste buds so people with these won't be able to taste food at all. They have a -1 CHA penalty. It cost 500 caps. Regular Quality: These tongues were designed Pre-War to help people with speech impediments. They offer neither advantages nor penalties. It cost 2500 caps. High Quality: Designed before the War for politicians and singers these tongue implants let the people who have them to speak and sing in a way more melodic and convincing manner. They give +1 CHA. It costs 4000 caps. Hypertrophy accelerator: This implant increases and enhances your muscle mass. It gives you +1 STR. It costs 4000 caps. Optics enhancer: This implant improves the effectiveness of the optic nerves. It gives you +1 PER. It costs 4000 caps. Nociception regulator: This implant enhances the nervous and cardiovascular system improving reception to pain. It gives you +1 END. It costs 4000 caps. Empathy synthesizer: This implant improves the prefrontal cortex, enhancing your capability of empathy and speech. It gives you +1 CHA. It costs 4000 caps. Logic co-processor: This implant improves the cerebral cortex with a mechanical microcomputer, helping you think and do complex calculations. It gives you +1 INT. It costs 4000 caps. Reflex booster: This implant enhances the central nervous node, boosting your reflex action by conducting the electric current in the nervous system and sending it to the area where it needs to go. It gives you +1 AGI. It costs 4000 caps. Probability calculator: This implant improves the frontal lobe with a mechanical aid that quickly calculates the chance of every single possible thing that can happen, allowing you to make the best choice in any situation. It gives you +1 LCK. It costs 4000 caps. Combat Implants: These bionics were designed by the US military and in some cases given to the veterans of the army. There were plans of building these bionics en-mase but they were too complex and slow to produce to do so. 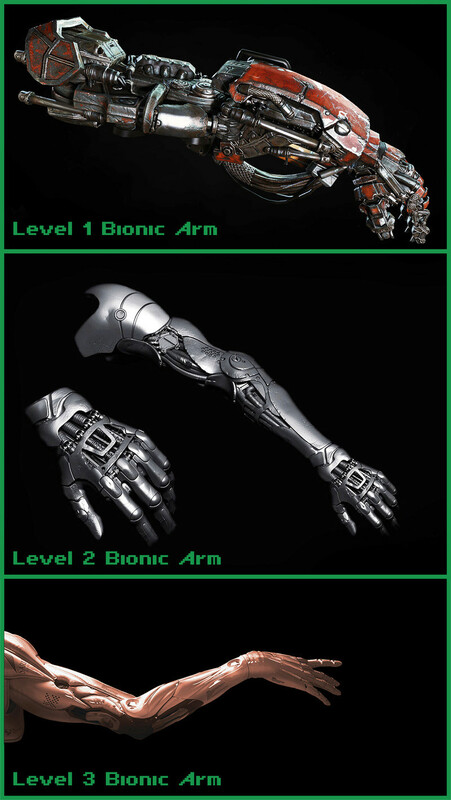 These bionics are pretty expensive and hard to find but they offer a lot of advantage in combat situations. Phoenix Monocyte Breeder: This implant allows you to gradually heal damage over time by speeding up cell regeneration. Each turn regenerates 10 HP. It costs 12000 caps. Subdermal Impact Armor: These small metallic plaques are placed under the skin and protect against small projectiles and impacts. It reduces the damage taken from Melee and Ballistic weapons by 10 points. It costs 5000 caps. Subdermal Impact Assault Armor: These thick and noticeable plaques are placed under the skin and protect you from impacts from most weapon and projectiles. They are so big that they give the user a somewhat inhuman appearance. It reduces the damage taken from Melee and Ballistic weapons by 50 points and has a -1 CHA penalty. It costs 15000 caps. Phoenix Subdermal Armor: These thermoplastic plaques are placed under the skin and protect against small energy and explosive damage. It reduces the damage taken from Energy and Explosive weapons by 10 points. It costs 5000 caps. Phoenix Subdermal Assault Armor: These thick thermoplastic plaques are placed under the skin and protect against small energy and explosive damage. It reduces the damage taken from Energy and Explosive weapons by 50 points and has a -1 CHA penalty. It costs 15000 caps.